ESA astronaut André Kuipers is scheduled to leave the International Space Station and land on 1 July. André is finishing experiments and packing his bags ready for departure. One of the last experiments is looking at how a human body stays warm. We take it for granted that our bodies stay at around 37ºC. Go jogging, spend time in a sauna, forget your coat on a cold day and your body will adapt and regulate its temperature. Blood vessels expand or contract and we sweat to keep heat or let excess warmth evaporate. On Earth, our bodies rely on convection to cool down: as liquids and gases heat up they become less dense and rise, moving heat away from our skin. There is no convection in weightlessness so it is surprising that astronauts’ bodies adapt and do not overheat in space. The Thermolab project is looking at an astronaut’s temperature during long missions to help understand how our bodies adapt to weightlessness. As temperature control is particularly important during exercise, scientists on Earth are observing André and his colleagues at rest and during exercise. 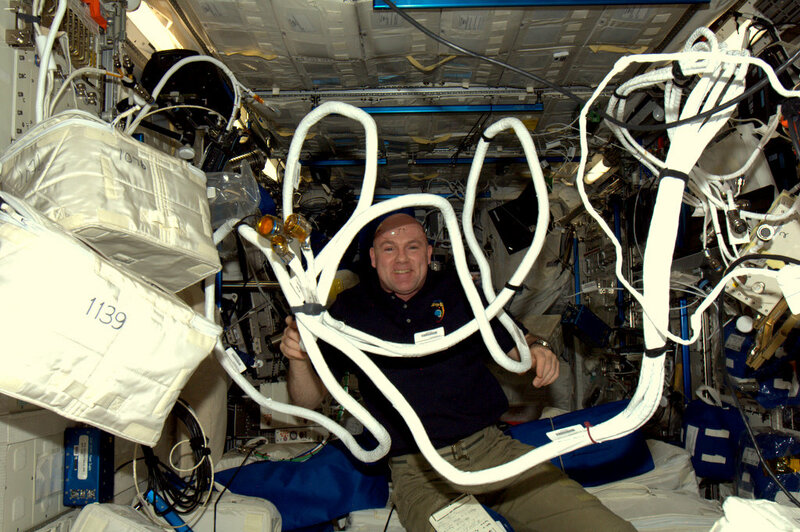 The experiment is run in conjunction with NASA research on maximum oxygen intake as astronauts on the Station use an exercise bicycle. 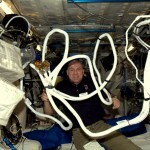 Using traditional thermometers in space is time-consuming and impractical. Instead, André has two sensors on his forehead and chest that measure his temperature continuously. The sensor was first used by ESA astronaut Frank De Winne in 2009 and then extensively during the Mars500 mission to measure how body temperature depends on the night and day cycle. Hospitals are showing an interest in the Thermolab equipment. Being able to monitor body temperature can provide an early warning to a change in a patient’s condition. As the system is non-invasive, it is more hygienic and easier to use. André and his two crewmates will land at 10:15 GMT (12:15 CEST) on Sunday 1 July. Watch the landing via ESA and read his blog as he enters the last weeks of his PromISSe mission.